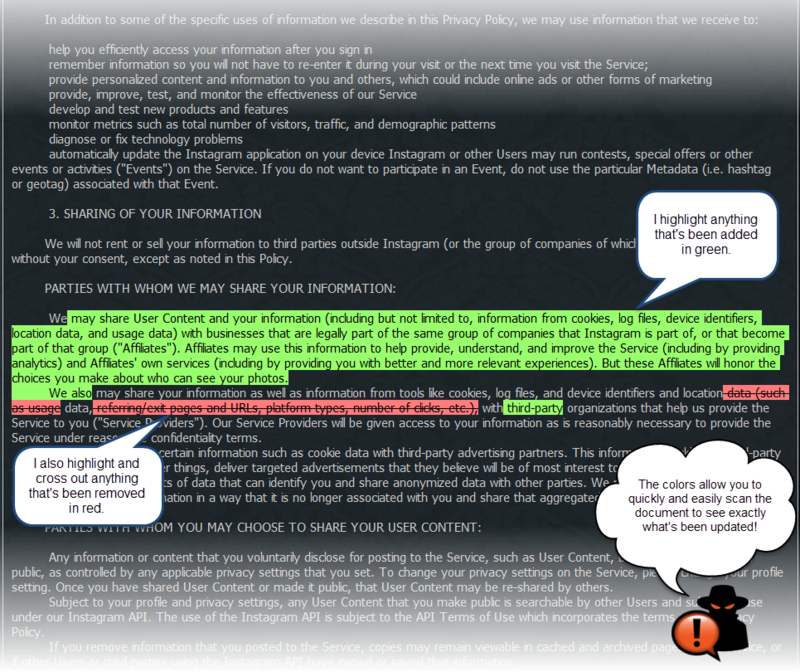 Show other documents from Diigo.com TIP: Try comparing two versions that are closer to one another. When they're too far apart, the comparison may become unreadable depending on how many changes were made. Feb 12, 2019 Changes to the "Children" section. May 29, 2018 Changes in the sections "Information We Collect" and "Use"; A new section has been added called "GDPR compliance". Sep 27, 2016 A new section on Children has been added; The section on Apps for Windows 8 has been removed. Dec 7, 2012 This is the initial version that ParanoidPaul captured. It is not necessarily the first version of the document. For children under 13, Diigo offers a limited feature set and website experience. We require consent from a teacher when children under the age of 13 want to register on Diigo, and offer a limited version of the website that removes certain social features, such as public profile. The only identifiable information we collect from children under 13 is an email address input teachers.teachers.Parents can request deletion of student data.Student data are retained only for education purposes. If you'd like to be notified when Diigo.com makes updates to documents like this, choose which ones you'd like to subscribe to today (it's free! ).